In April 2015, construction of the Sora Aircraft commenced in earnest. Seed funding allowed a team from Flight Structures to dedicate time to the project on a full time basis. 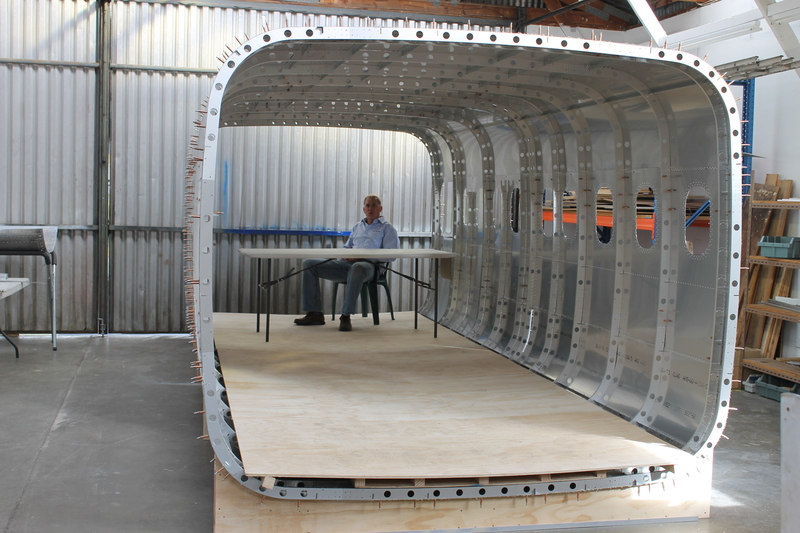 Here are some pictures of the fuselage, taken before the floor was installed. 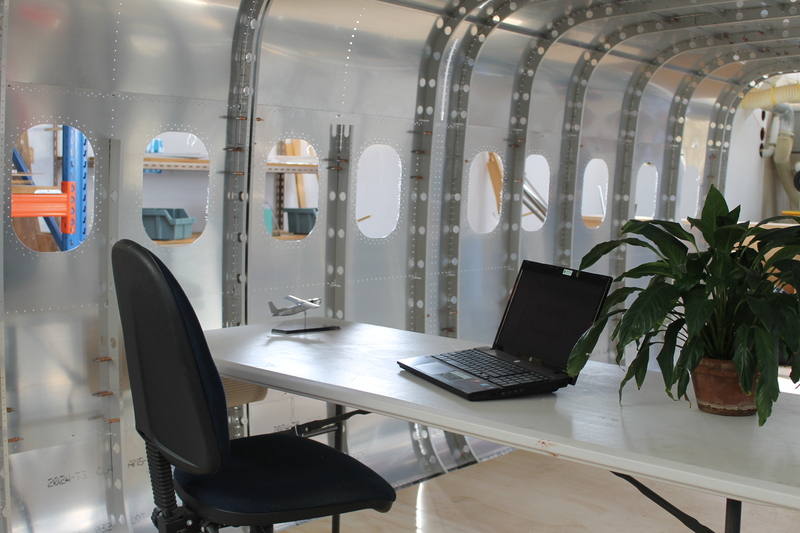 These pictures demonstrate the roominess of the fuselage. 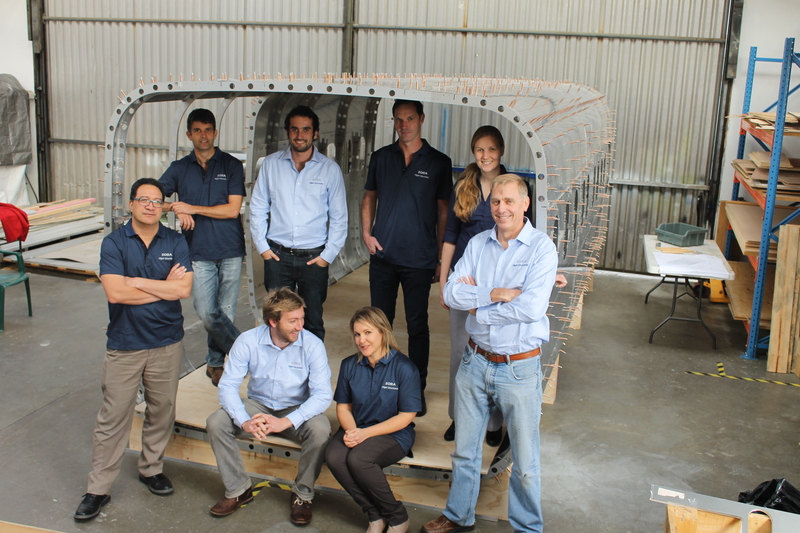 Here is a picture of many of the Flight Structures team who have been working on the Sora Development. Jon Kerr, the CEO and Chief Designer is at the back on the left hand side. Our Chief Draughtsman Clyde, is at the back of fuselage. Another view of the interior, this time taken from the rear of the aircraft.